The funerals are performed every day except Sundays and the first day of a national holiday on all ten city cemeteries. Scheduling the date and time of the funeral is conducted while based on the death certificate. 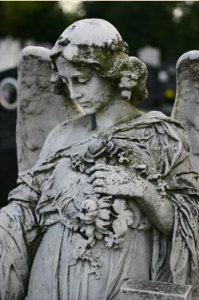 If the family of the deceased does not possess a burial ground it shall be granted the right to use a burial ground according to the municipality of residence of the deceased at the following Belgrade city cemeteries: Nova Bežanija, Lešće, Zbeg and Orlovača. If the family of the deceased possesses зa lease of a burial ground the holder of the right to use or his or her closest relative during the scheduling of the funeral submits a statement and required documentation proving the relationship with the deceased and others who are buried on that place. Average funeral expenses are 36.110,00 RSD. Expenses for disassembling and assembling of the monument for existing places of burial are between 5.000,00 and 20.000,00 RSD.